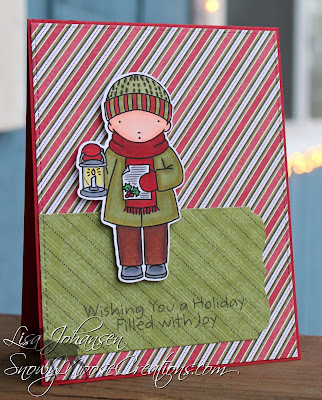 It's 2018 and time to start working on Christmas cards for this year :0) Thankfully we have The Merry Christmas Challenge to help build that card stash up! 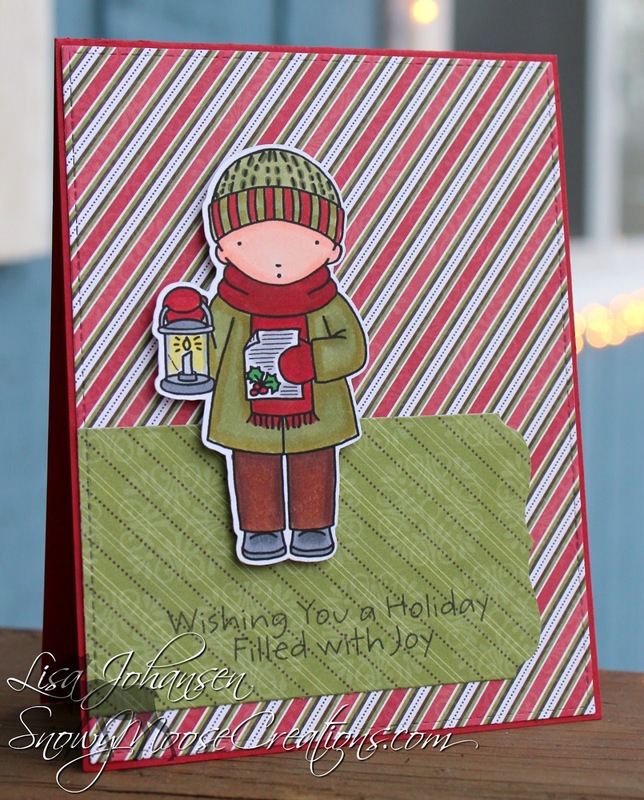 For my card I used an older Pure Innocence image of a boy caroler. It used to be offered in Heather Ellis's Etsy shop but she hasn't added it to her website, which is where all her images for sale can be found now. I had the image colored and in my stash so I went through my paper stash to see what I had that matched and found this retired DSP from SU that had the perfect colors. I used dies from MFT to cut the main DSP panel and then used a die from one of the MFT Blueprints to cut the panel I put the sentiment on. Since the DSP is pretty busy I wanted to keep the card pretty simple and so after stamping the sentiment I popped up the image above it and called it good! 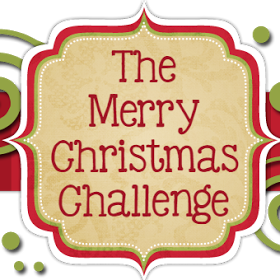 Head on over to The Merry Christmas Challenge to see what the rest of the DT created and then play along with us!